Discussion in 'Pin Zaps & Swaps' started by docfish2u, Oct 14, 2013. I'm another newbie to the Forum, just throwing my hat into the ring. I am a big fan of anything related to Alice in Wonderland or Lady & The Tramp, but my collection is pretty new, so I'm still figuring out my favorites. EclecticGentelman you have been added to the list. MomeRathsOutgrabe, when you follow all of the directions in the opening post you can be added also. Welcome to you both!!! Just joined - My name is Joan, and I like Nightmare Before Christmas, Kim Possible, Mulan, and heck, anything cute. Zapping sounds like so much fun! And I love the fact that it's not only pins, but whatever might make someone's day. My brand-spankin-new pinpics profile name is LadyBarclay. Please be sure to read all of the opening post and follow all of the directions. It is the only way you will get added to the list. What a generous and fun idea! We've never been zapped before! I collect for my daughter, who is too young to participate (she is 7). We don't have many pins (she has 8). She loves Frozen, Princesses and Fairies (surprise)! Much thanks to whoever helps us add to her collection! I can't wait to participate in this but I think I should wait until I move back to the US this summer. If someone were to send to me now I probably wouldn't know it since my parents just stock pile all my traded pins for me. It will be like Christmas when I can get there and open them all at once and update my lists properly. I'll be sure to get signed up then! So far it's just really fun to see all that everyone does for each other here. I just read the sticky on what a zap is! I think it's so cool to brighten someone's day like that, great concept. Once I get the hang of the forum a bit I will definitely want to be on the giving end of a zap. As I'm still new I have never been zapped. I like full body character pins, and am partial to Oliver and Company, Fox and the Hound, and Haunted Mansion. I have never been zapped before!! My wife and I are new a pin trading. I love everything Star Wars and she loves everything Frozen. Our PinPics ID is scottyboo. We are still trying to find all the pins we have in PinPics so that list is not fully updated. Thanks!!! New here and never zapped! My 4 year old and I discovered pins on our first trip to WDW in may! He loved trading with the cast members! We're both into Star Wars. He loves Peter Pan and Jake (well any pirate lol). Sleeping Beauty is my favorite Disney princess. I have not been zapped except when I joined by my sis, tiggerrmickey and Merryweather once sent me a birthday pin. Which was more of a gift than a zap. I have zapped numerous times. Most recently Dawny and Donnam! Right now I am collecting Tinkerbell dressed as a princess. My Grail is obtaining Tinkerbell dressed as Belle. My pin pics user ID is the same as my user name here. If you feel my zap was sufficient from when I very first joined the forum, then please disregard. Disregard my post then please. I had forgotten about that. I always try to zap when I sold pins. I didn't know it was the same. 3 more never been zapped people can no longer say that. Hello all! My name is Al. My pin collection is simple and small but growing by leaps and bounds. I love all things Mickey and Star Wars, also looking to start collecting Wreck-it-Ralph as well as Phineas and Ferb. My pinpics id is ildar717, same as my screen name here. My daughter got zapped! She is over the moon with the kind and generous gift from her mystery (princess collecting) friend from Richmond, CA. She wanted to send something to the zapper, but we don't think the return address is complete, and it will get lost. Any chance the mystery zapper can confirm with a pm? So I can't start my own post in the zap forums yet (I really have to work on my posting) but I really want to say THANK YOU! to the DPF Mystery Trader! I loved the Aurora and my little boy loved the pirate ship pin! He was so excited to get mail and loved that there was a pin inside! Whoever you are, Thank you! The 12 Zaps of Christmas in July inspired me to join in the fun! Currently collecting for myself and 2 daughters. *WDW and DLR rides and attractions prefer w/ characters, no branding (like Coca-Cola), no dates (unless included on wants), Words ok! *My princesses are Cinderella and Belle. I look forward to zapping others in return! quicksilver493 Gonna be a MIGHTY king! Hooray for zapping! I've never done anything like this before, should be fun! My Pinpics ID is - hakunamatatas26. I collect the Lion King, anything Lion King. Hi, My name is Tiffany! :wavey: Never been zapped. PinPics ID (our family shares 1 acct. for now) is Pookadoo77. Newbie to collecting, it's rough when you live in SC and just left Disney World not to be able to return for 2 years :sad:, I figure by then we will all have nice little collections going and it makes Disney withdrawal easier, lol. Me, my hubby, and my 3 boys ages 4, 10, & 11 all collect pins now, lord help me! Trying to figure out all this pin stuff too, lol. We collect= Haunted Mansion, Lion King, Dumbo, Baymax, Miles From Tomorrowland, Star Wars (esp. Boba Fett and Vader), those are the main ones. Only princess would be Snow White. Otherwise pretty much anything or any pin we probably have someone that would cherish it amongst us! Thanks so much! What a great idea, now I gotta try to keep beefing up my pins and pin knowledge. Hi guys, I am Alex and I'm new to pin trading. 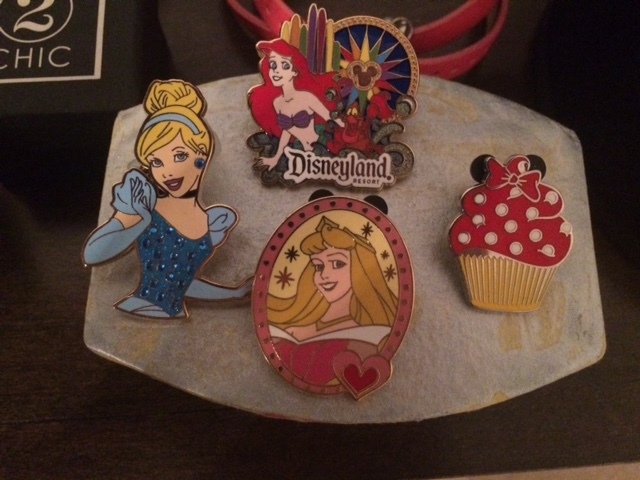 I just started this month and have mostly just been buying pins. *Pretty much anything cute, clever, or great to look at! Haha. I haven't made a pinpic account yet so I'll probably do that and edit that in soon. PS. My dad was zapped at Disneyland a week or two ago. The person was a nice lady and he was given both Chip and Dale in rockets! UPDATE (7/20/15): Someone I bought a pin from a week ago sent a zap with the pin! It was a "Baymax of Anarchy" fantasy pin. Thank you yoyo_pinster (spelling?) on instagram! First, welcome to DPF!! I have added you to the list. Be sure to pm me when you do set up a pinpics account. It makes it easier to get you zapped if people can see what you are looking for. Hello! I am iceys, my pin pics is icey. I just realized this existed so I thought I should post here. This is what my daughter received!!! And a super nice card and stickers! What a wonderful community! Thank you again DPF Mystery Zapper!! !